Bronc Rider Rodeo Ornament - "Blue Ribbon Cowboy"
The rustic finish on this metal bronc buster and the rope/metal lasso gives the look of a wild west rodeo and the rusty star/ denim ribbon accent add that cowboy look. The mixed materials give lots of depth and interest to this ornament. 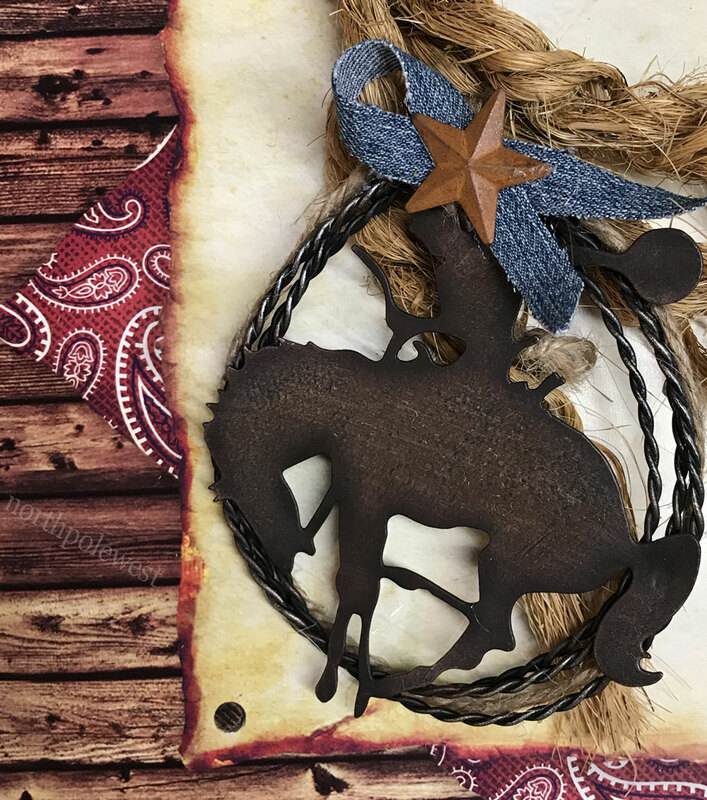 Great for the cowboy Christmas tree or year round in a western wreath. 4.5" x 4"
The rustic finish on this metal bronc buster and the rope/metal lasso gives the look of a wild west rodeo and the rusty star/ denim ribbon accent add that cowboy look. The mixed materials give lots of depth and interest to this ornament. 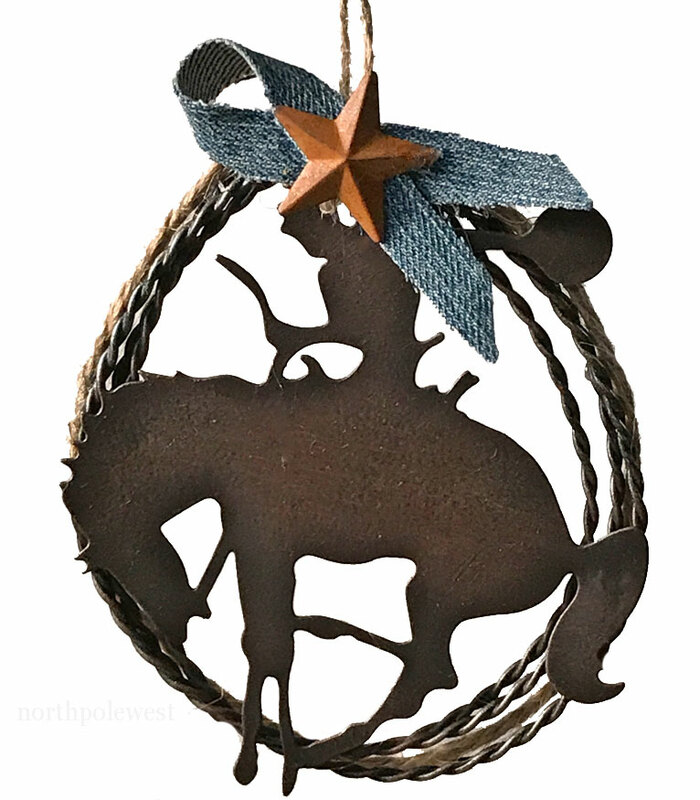 Great for the cowboy Christmas tree or year round in a western wreath.